Rockstar and 2K parent company Take-Two has said it isn't interested in going to direct-to-consumer selling games. During the firm's call with investors following its financial results - as transcribed by Seeking Alpha - the entertainment giant's present Karl Slatoff said that Take-Two wants to go as broad as it can when it comes to selling games and that "exclusive relationships" are something it doesn't believe in. This comes as myriad storefronts are coming to the market - a few of which are signing exclusive partnerships with companies on new titles - while some publishers - such as Bethesda - have opted to retreat to their own platforms to launch new games. "Well, generally speaking, our approach is to be wherever the consumer is and we distribute very widely," Slatoff said. "Generally speaking, we have not been a believer in exclusive relationships. And I wouldn't comment on any particular store. But for example, the question has been raised about we shouldn't give as a company be exclusively direct-to-consumer. And I think our experience was that consumers want to shop in a place where they get a multiplicity of titles. We have terrific titles coming from all of our labels. We have a very broad offering. But there are other titles besides -- titles coming through the take to an enterprise that people want. So generally speaking, our strategy is to be broadly distributed. There are times when an exclusive distribution relationship can make sense. And, I wouldn't be in a position to comment on one of our competitors chose to do. But on balance, we're happy that effects going into business. We're happy to have someone else at the table." Meanwhile, the company was pressed on the free-to-play business model adopted by the likes of Fortnite and Apex Legends, with SVP of equity research for internet and video games at investment banking firm Jeffries asking where premium triple-A titles fit in in this landscape. 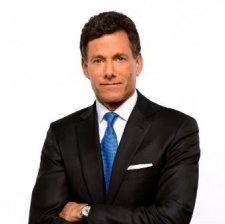 CEO Strauss Zelnick (pictured) said that if you release quality games, consumers will show up. "The truth is that when you deliver an amazing triple-A experience, consumers show up," he said. "And you've seen that with us over and over again, and you see that in these results with the extraordinary results of Red Dead Redemption 2, the continuing amazing result of Grand Theft Auto V and the results of our catalog, which sell pound for pound better than anyone else's catalog, which say units sold per skew for more than best in the business or more recently NBA 2K19. "So what we found is you give consumers what they want. That's often reflected in reviews and Metacritic scores and the Red Dead Redemption 2 type Grant Theft Auto V with the 97 score. They will show up and they show up in quantity. So I'm not worried at all about someone else establishing a free-to-play approach. As long as our quality continues to be stellar, and that's a very big as long as that's what we have to execute against every day. Consumers aren't actually super price sensitive where entertainment is concerned. Or said another way, if we put out something that people don't want, you can kind of price it whatever price you want, they're not going to show up for. I wish that were different, but it's -- it's not like selling groceries or commodities. And when you give someone something that's phenomenal, it's our job to deliver vastly more value than what we charge, but price sensitivity declines. So, I think, this is all about quality. That's our approach and that's why we're delivering these extraordinary results."